To use Twitter we all need a unique name and it starts with ‘@’. This is how people contact us on Twitter and the only way you know for sure if someone is talking about you or to you. It’s your phone number, your email address or your postal address on the Twittersphere – so it’s a big deal. What’s in a Twitter name? On Twitter people will call you by your Twitter name. I’ve been referred to by my Twitter name for years in public too! Your Twitter name is also a name that, over time, people will type into Twitter thousands and thousands of times – so it needs to be memorable! Getting it right is important but equally having the wrong name is as bad. Although you could argue that most applications now show your ‘real name’ to people and then the @name, it’s still not very ‘on brand’ if your Twitter name doesn’t really sell you well. I’ve recently changed my Twitter name. The Twitter name I had was historically set up for an event I helped organise and I inherited the account when Warwick Tweetups stopped back in early 2013. I’ve been tweeting as @WarwickTweetup and continuing to use the brand for my new direction for over a year – it made sense to, as people knew it so well – but things changed when I moved on, so finally my branding has too. As I always teach, preach and advise people on all things social media (amongst many other services) the new name of @SocialMediaTodd seemed to be quite apt. It describes me perfectly and no one else had it so overnight it changed and now my followers will see it. 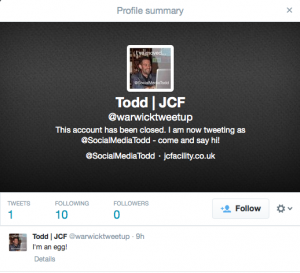 So, how do you change your Twitter name, and what do you need to consider? It’s very simple to change your name. It’s not exactly a deed poll, but you need to consider your approach. To change your Twitter name is very simple. A user name is limited to 15 characters. Now change your other name? You might also want to consider changing your ‘name’ too. On your profile (found on the lefthand sidebar) you can also change your name that most applications show first. 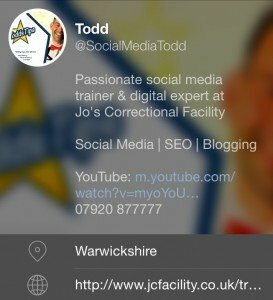 My name is Todd but my Twitter name is @SocialMediaTodd, so on Tweetdeck for example it says ‘Todd @SocialMediaTodd’. If you’re changing your Twitter name because of a rebrand then consider changing the ‘name’ too as this may impact more the your followers day-to-day view. Unlike your Twitter name this doesn’t have to be unique! Now this may not be possible if you’re completely rebranding but as I always advise you should have a picture of yourself not your brand anyway. If you have a picture of yourself already then keep it because you don’t want to change too much at once. People will recognise your picture more than your Twitter name in most cases. One step at a time! Will I lose my followers? No. You will simply change name and all your followers will now follow your new account. They will still see the same avatar and that’s why I recommend not changing it (see above). Obviously if you’re about to change direction completely and start tweeting about an entirely different subject then you may lose some over time as they unfollow, but it’s not something I’d be too concerned about. Will I miss tweets from current followers? No. Cleverly Twitter puts your old @name on a redirect for a while. So if someone mentions your old name on Twitter it will notify your new name. It’s early days for my account as I write this but Twitter is redirecting @WarwickTweetup to my account if it the tweet doesn’t mention my new name in the same tweet – clever stuff! What happens to the old account name? It becomes available INSTANTLY! My old Twitter name @WarwickTweetup was up for grabs instantly. My advice here is to go and grab another email that isn’t associated with a Twitter account and sign up for a new account and call it by your old name. When the redirects stop I’ll be able to find the lost tweets to me. No one else will be able to tweet as @Warwicktweetup – that saves confusion. 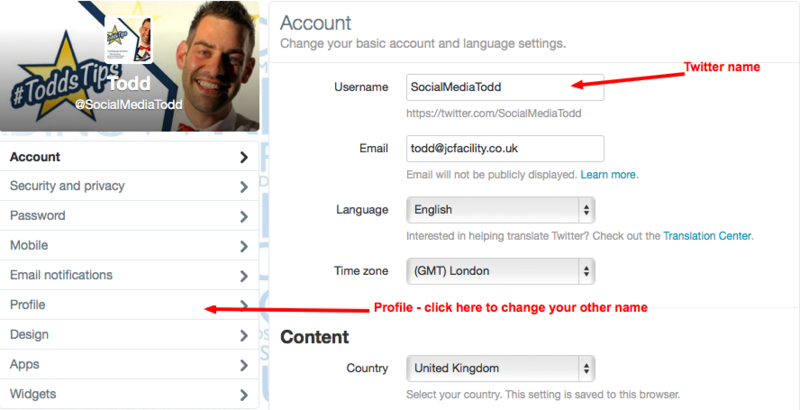 By grabbing the old Twitter handle you can create an ‘I’ve moved’ account and write a short description in the bio and link to your new name. Old links from websites. Over the years I’ve been linked to from blogs and articles. They will have linked to www.twitter.com/warwicktweetup but now I am www.twitter.com/socialmediatodd. I can’t go and find all of these, so a simple one-time change on a new Twitter bio will ensure that people can still find me. Think about all the places you have your Twitter name and change them. 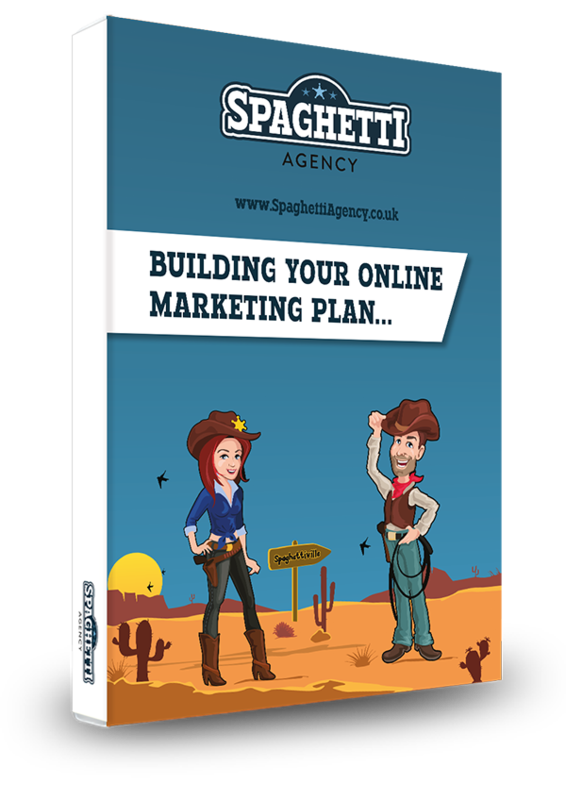 Website (including Twitter-feeds) other social profiles like LinkedIn and Google+ and also your business cards and promotional materials! Tell people about your change! Twitter will do all the magic and when you first tweet as your new name they will see you and may not notice the change. Even when they reply, Twitter will put your new Twitter name in their tweet compose box. So my advice here is to announce the change and talk about it – lots! If you’re active on Twitter then this won’t be a problem for you and remember the rule of 21. You have to say something about 21 times on Twitter for people to hear it. Unlike the rule of 3 in modern advertising (think buses and adverts). Choose a Twitter name wisely and try to avoid numbers and odd characters. Yes you may find that your @name has already been taken (I did) but that doesn’t mean you won’t find a better one – I did! It’s early days but so far everyone is still finding me. If this changes then I may repost or edit this post to feed back on my findings. 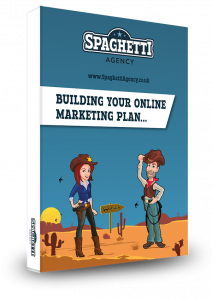 Thanks for reading and don’t forget to tweet me @SocialMediaTodd if you have any questions or additions. Thoughts and comments as always are welcomed in the box below.